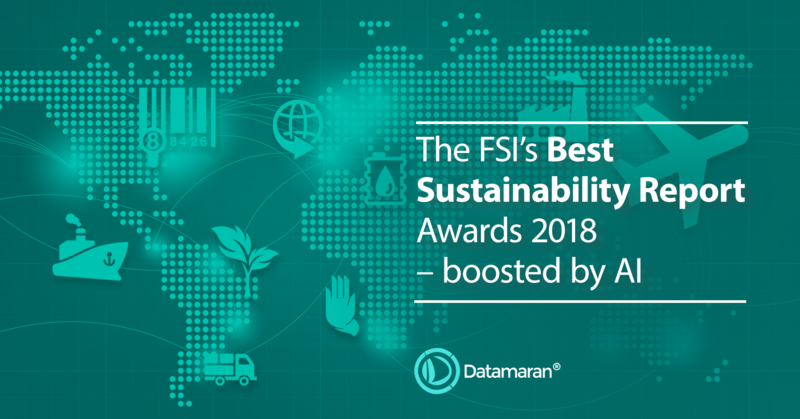 For the first time, Datamaran participated in the Finance Sustainability Initiative (FSI) Best Sustainability Report Awards last week in Montreal. 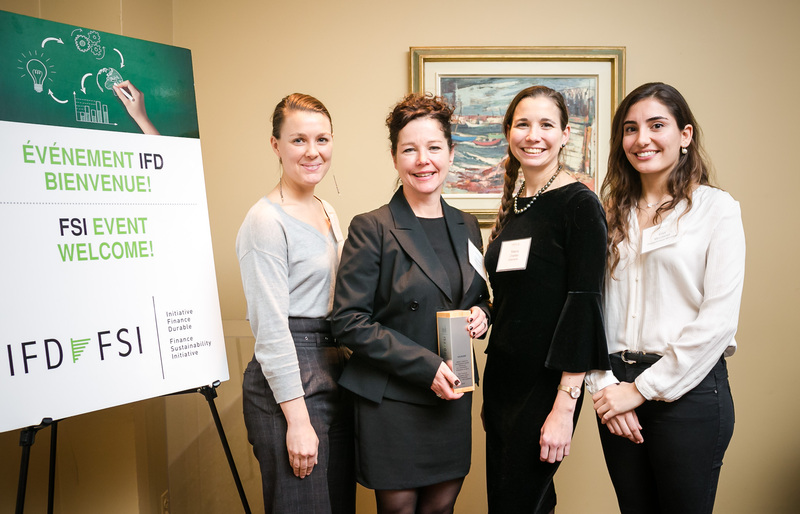 Now in its fifth year, the competition aims to promote excellence in sustainability reporting among Canadian public companies. All companies that are part of the S&P/TSX Composite Index are automatically eligible for this competition - a diverse group that encompasses multiple sectors, as exemplified by this year’s winners: TD, CAE, Air Canada, Canfor, Thomson Reuters, Gildan, Vermillion Energy, Goldcorp, Teck, Telus and Capital Power. So, what’s the connecting thread? Materiality. 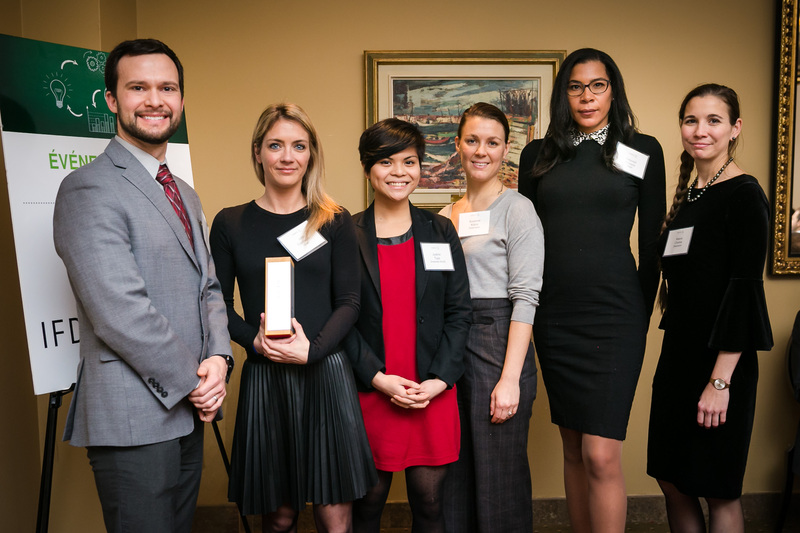 Gildan pictured with the Datamaran team picking up their award. Refocusing the report assessments on the investor perspective this year, the jury team - composed of university students from across Canada - paid particular attention to information contained in the reports that is material and useful to investors. And, for the first time ever, they leveraged Datamaran to boost these assessments with the power of AI and big data. Also new this year, the overall and sector results are now available to the public on a dedicated online platform created by Metrio and featuring Datamaran's sectoral results. The key criteria to assess materiality included: data accessibility, clarity, comparability, accuracy and timeliness; a clear linkage between ESG performance, business strategy, governance and financial performance; and alignment with stakeholder expectations. Many of these concepts are borrowed from the GRI Standards (and are also some of the core drivers for developing Datamaran). "We used to think of ESG issues as non-financial, but what we’ve seen recently, with the VW Emissions Scandal for instance, is that they are in fact very financial." Datamaran’s Director of Customer Success, Maeva Charles, reinforced in her presentation that corporate disclosure on environmental, social and governance (ESG) issues is no longer a nice-to-have, it’s essential. Beyond the growing demand from investors, the number of regulatory disclosure requirements is exponentially increasing. Datamaran tracks over 4,000 regulatory initiatives - soft and hard law - that impact corporate disclosure. Since 2013, there has been a 72 percent increase of the number of recorded regulations concerning non-financial issues. Have evidence to back-up decision-making, strategy and reporting. Storytelling is central to effective sustainability reporting, given the relatively qualitative nature of ESG issues. Having data-driven insights to ground these stories is critical, especially in light of increasing investor focus. Be proactively transparent. Don’t wait for the demands - from investors, regulators, the public and your employees - for more disclosure. Anticipate and get ahead of these demands by continuously monitoring the external landscape. Voluntary reporting standards, like GRI, SASB and the UN Sustainable Development Goals, are strong signals of what’s to come from a mandatory perspective, as we’ve seen with the recent EU NFR Directive. Combined with social media and news activity, these voluntary standards provide insight into what we call the 'courtroom of public opinion'. Engage the board, management team and leadership across departments by presenting compelling evidence and using the right language. Embedding ESG issues into core business strategy is a journey, and this requires ongoing dialogue with leadership in order to achieve a fully integrated approach. Reporting is just one, though critical, part of this journey - and we’re seeing a market shift towards integrating ESG into ERM, a process that we enable with Datamaran. What’s really clear is that there’s a rising demand for rational, face-based stories - and companies need to take heed. Our CEO, Marjella Alma, also commented on this in relation to Edelman’s Annual Trust Barometer study and the battle for trust and truth, as you can read here. Ongoing dialogue with various stakeholders and continuous monitoring of the external landscape is key in order for companies to be able to tell their story, versus having someone else tell it for them. While material issues may not change frequently, what we see with Datamaran is that reporting practice, regulatory expectations, public demands and news coverage do.